A common view of old and unwanted lab equipment is that when it has served its usable life, and been replaced with the latest technology, the old equipment should be scrapped. Whilst this may be an easy decision to make, it is not always the best one, either environmentally or financially. Reduce, Re-use and Recycle is a tag-line used these days a lot, so how is it relevant to our sector? We can all make efforts to reduce waste; in particular only ordering equipment that we really need. This is clearly the beginning of the equipment life-cycle, whereas re-using and recycling come at the end. Whatever the reason equipment becomes made redundant, laboratories have a number of choices as far as the ‘disposal’ of the items is concerned; the first and most preferable choice, being to re-use it. This can be done in two ways: internally or externally. 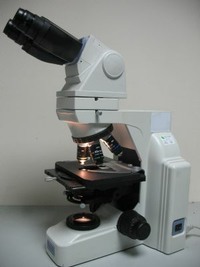 Internally, a laboratory within an organisation can alert other departments to the availability of surplus equipment. This not only makes economic sense but also fosters good relations within an organisation. The means to achieve this can be as simple as word of mouth or as sophisticated as loading details of available equipment to your intranet. And you might even consider setting up a swap-shop, whereby you exchange your items for equipment that others no longer need, thus receiving something in return! The other option is the external route. This can be by donation to other organisations or by sale to trade buyers. Clearly, the latter will generate funds which can be re-invested in new equipment or channelled to other worthy causes within your organisation. One UK pharmaceutical company even took the decision a few years ago to give all proceeds of the sale of redundant lab equipment to a local charity! Not only did this solve their problem of an overflowing Stores Department but also served the community in which many of their staff lived. However it is done, re-using equipment is always better for the environment (and society) than disposing of it. However, should equipment have to be scrapped, the process is more complicated now than prior to January 2007. Due to WEEE regulations, electrical equipment cannot simply be sent to landfill. There are restrictions on what must be recycled, in an effort to reduce waste and reclaim useful elements and materials. So, old equipment should no longer to be viewed as a problem; rather an opportunity! It is an opportunity to re-distribute assets within your organisation, or recycle what would a few years ago have been buried in the ground. Finally, it is an opportunity to turn what you no longer need into money. At Colco Scientifc we specialise in assisting labs wanting to sell redundant equipment across all sectors (analysis, chromatography, sample preparation, spectroscopy etc.) There is a growing interest in the market for usable equipment that, whilst it may not be the latest model, can still perform the task for which it was designed. Colco has worked closely over many years with buyers from overseas who have benefited greatly from purchasing used laboratory and medical equipment from the UK. One such buyer, based in Zambia, has come back numerous times to acquire equipment from hospitals and research groups which may otherwise have been simply scrapped. It is very encouraging to think that not only are these items saved from being thrown away but more importantly pressed back into use, often in locations where any equipment is better than no equipment, even if it is 15 or 20 years old! So, your laboratory can make a real difference: a difference to the internal re-use of equipment; a difference to the avoidance and cost of disposal or recycling; and a difference in this world by seeing your redundant equipment given a new lease of life somewhere else. We are always looking to expand our sources of equipment across the UK so, if you have equipment that is no longer required, please use the form below to get in touch.